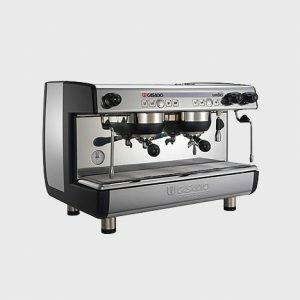 Stylish, elegant and versatile, the Casadio Undici A2 is a high performing traditional espresso machine which is easy to use and low maintenance. 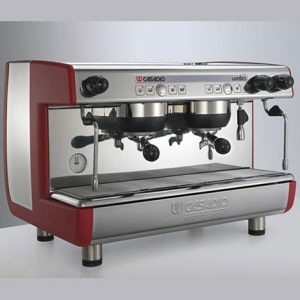 The 2 group Undici A2 is ideal for those who want a reliable, robust and high-tech machine to make perfect coffees. The A2 model is a user-friendly espresso machine with 2 group heads, a stainless steel hot water dispenser wand and 2 multi-directional steam wands for making milk-based coffees. The machine includes a fixed-nozzle thermosyphon system which is adaptable and high performing. Each group head of the Casadio Undici A2 has 4 drink selection push buttons with LED lights which can be programmed to create various coffee doses (8 in total). This ‘coffee to go’ model is ideal for take away coffee cups up to 14.5cm high.